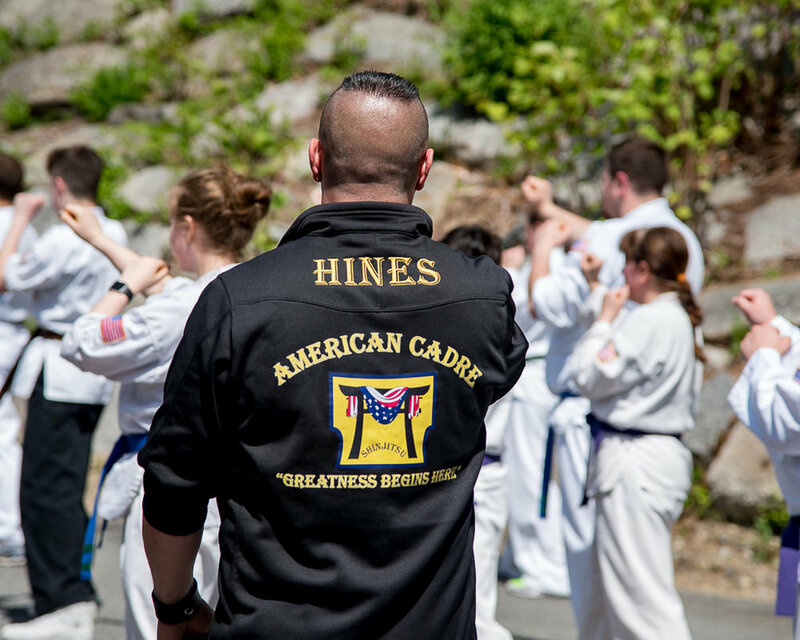 "Greatness Begins Here" Welcome to American Cadre Karate. After many years of intense training and studying the constant evolution of the martial arts, we the co-founders of American Cadre Karate are proud to teach students of all ages to be the very best they can be in all aspects of life. Contact your local ACK School for prices and promotions. American Cadre Karate is a compilation of three schools. We are currently located in Kingston, Brockton, and Sharon Massachusetts. Please feel free to call or email your local school for more information, pricing options and specials. We look forward to hearing from you! After many years of intense training and studying the constant evolution of the martial arts, we the co-founders of American Cadre Karate are proud to teach students of all ages to be the very best they can be in all aspects of life. This system is called Shinjitsu. It translates into “art of reality,” “shin” meaning reality, and “jitsu” meaning art. We bring the ancient study of martial arts into today’s time and culture. We learn from the past, and innovate for the future! We believe there is value in learning more than one type of martial art, and that one is not superior over any other. Because of this, our students benefit from many different styles of martial arts that have been carefully selected and perfected by the co-founders of A.C. K.. We have focused on six different arts: Shotokan Karate, Judo, Jujitsu, American Kickboxing, Muay Thai and Modern Street Defense. Learn about all of these individually on the "Our System" page! "it's the respect kids learn, whether from bowing or standing still and waiting for the next command, that can be the most important benefit: It often carries over into school, helping to improve behavior and even grades, according to recent research." "control of aggressive behavior and the gain of self-respect, self-control, self-defense, self esteem, focus, confidence, and courtesy. As an additional benefit, the child will also excel in other athletic endeavors." "A child who is involved in martial arts is generally a child who is confident in herself (or himself). Working through a martial art and the belt ranking system gives a child measurable goals to follow that are realistic to attain. " "Martial arts help instill mental focus in your child, giving him or her the ability to concentrate on a task and see it through to its conclusion. "